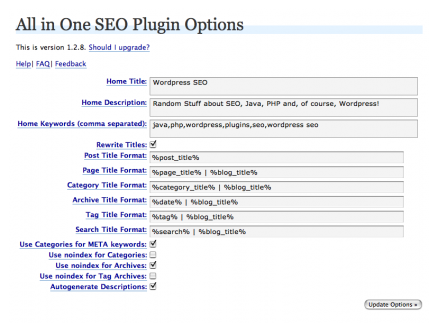 May 23rd in Plugin Tips, Plugins For SEO by Wordpress Jedi . 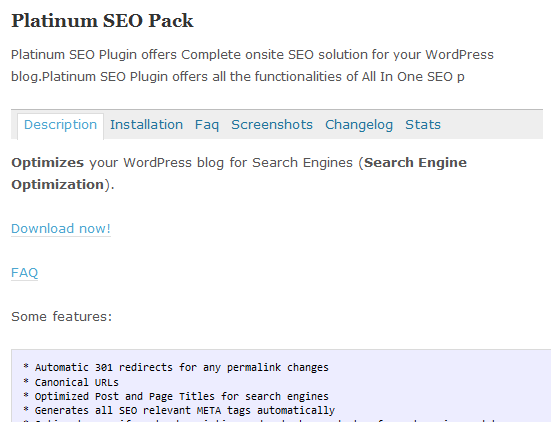 All In One SEO Plugin: used by a whole lot of WordPress bloggers and portal owners. 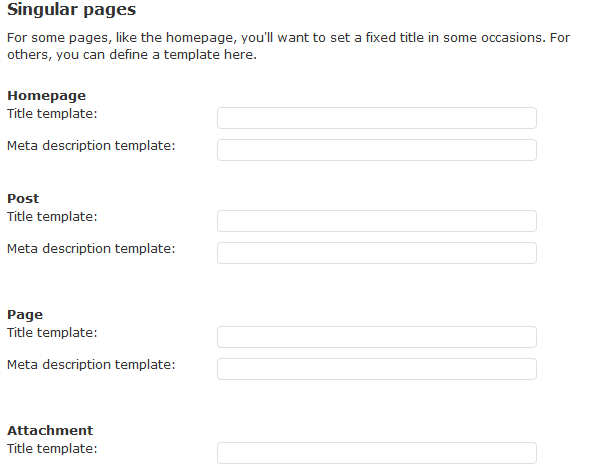 It allows you to customize your titles for your pages, posts, and everything in between. Yoast WordPress SEO: one of the best developed SEO plugins for WordPress. It goes beyond your title tags and lets you manage many on-page SEO factors for your WordPress site. Platinum SEO Pack: very similar to All In One SEO in many ways. It even allows you to import your settings from that plugin. On some hosts, this plugin performs a whole lot better than All In One SEO (main reason we switched to it on some of our sites). Greg’s High Performance SEO: a light-weight and thorough SEO plugin for WordPress that covers tens of on-page SEO factors. Of course, you want to know what you are doing before messing with some of these options. It helps you address your duplicate content issues too. HeadSpace2 SEO: allows you to configure meta data for your posts, pages, categories, and so on. 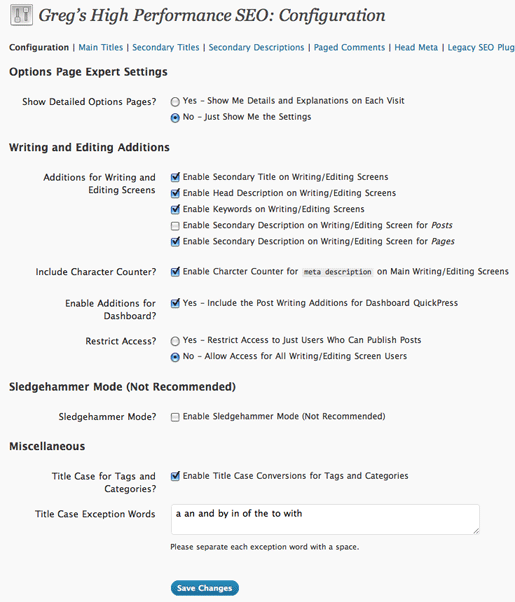 Covers page titles, indexing issues, and descriptions and much more. Just don’t be too lazy when using this. 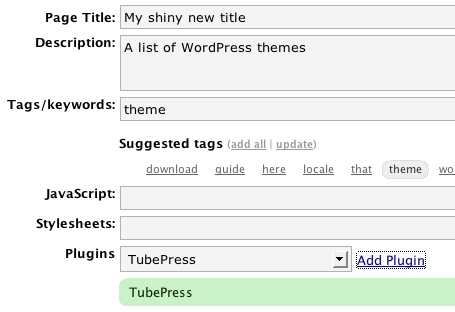 What’s your favorite title plugin for WordPress? We have not tested that. From all we have tested, Yoast's plugin or All In One SEO seem to do the best job.